Read You Make Me Feel, Like I'm Alive Again Song Lyrics, Watch Official Coldplay Adventure Of A Lifetime Video and Listen Audio here from Coldplay's upcoming new album "A Head Full Of Dreams". 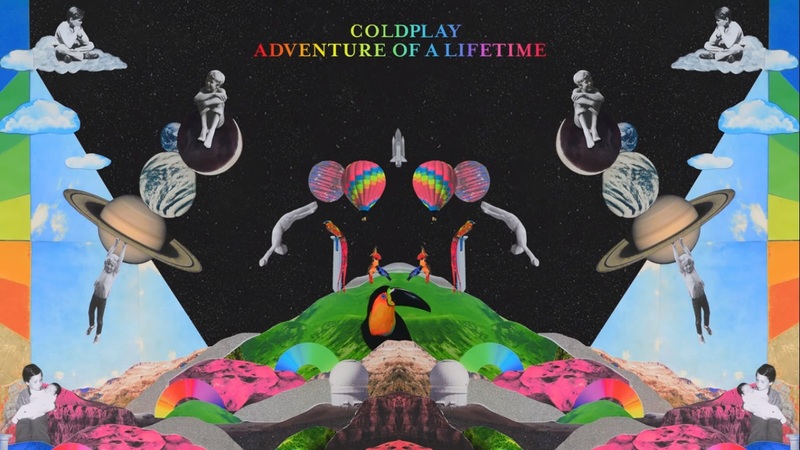 The song is produced by StarGate where as Lyrics written by Coldplay and StarGate. Turn Your Magic on, To me She'd say..
Everything you want's a dream away..
We are legends, Every day..
That's what, she told him.. I Feel My Heart Beating..
Oh, You Make Me Feel..
Said I can't go on, Not in this way.. I'm a dream, I die by light of day..
Gonna hold up half, The sky and say..
Ohh I Feel My Heart Beating.. Cause You Make Me Feel..
We are Diamonds, Taking Shape.. If we've only, got this life..
Then this adventure, more than I..
And if we've only got this life, You'll get me through.. Alive..
And if we've only got this life, Then this adventure, more than I..